Wine is often associated with celebrations, milestones and happy occasions especially here in our country. Crafted from grapes cultured in California where the sun nurtured the tiny fruits to perfection to assure you of wines bursting with flavor and aroma, Rossi Sweet Red has just the right amount of alcohol content and therefore won’t leave you heavily drunk even after finishing a bottle with friends or love ones. Because it comes from the Number One Table Wine in the world, Carlo Rossi, you are assured of the high quality that goes with every bottle. Also, because it’s red and sourced from grapes, it is good for the heart when drank moderately. 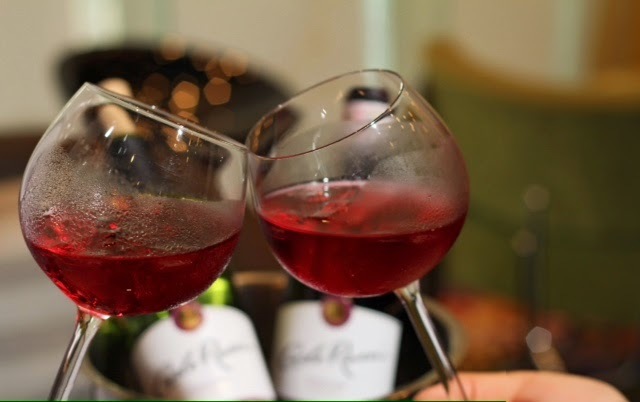 Rossi Sweet Red is just the perfect companion for such a marvelous occasion. As its name suggests, Rossi Sweet Red is sweet with layers of vanilla, bright cherry and wild raspberry flavors. Unlike your dream car though, Rossi Sweet Red is affordable and won’t break your wallet, or test the limit of your credit card. Rossi Sweet Red also has a well-balanced palate and a light medium body, and tastes just as great, whether chilled or with ice. It’s not also choosy when it comes to a companion because it goes well with about just anything – cheese, fish, meat, or even the all-time Filipino favorite, the sizzling sisig. Salud!